Was built as a hybrid between a scooter and a motorcycle. 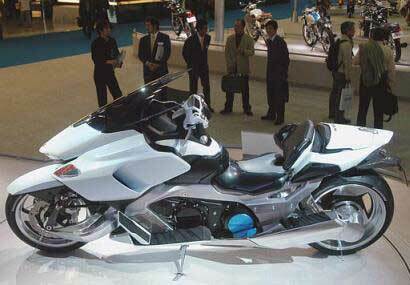 Suzuki presented their G-Strider concept motorcycle, a cross between a scooter and a motorcycle. The two wheeler is powered by a 916 cc engine with automatic transmission.